While we relate to how exciting it is to be a fashionista we also know that it’s a challenge to keep up with the trends considering the pace at which they change. 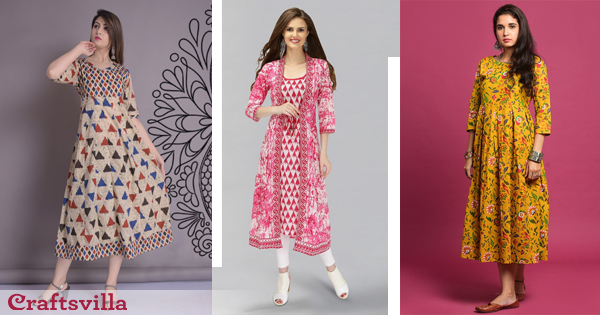 But don’t you worry, we’ve done all the fashion home-work for you so you can sit back and relax and yet get your hands on all the ethnic trends that are to go big in 2019. It is said that beauty lies in Asymmetry and the high-low hem lines trend is climbing the ranks of fashion at a steady space. These asymmetrical hemlines make for a good change from the conventional. We’d totally recommend this Mint Green top to start the year on a trendy note. The year, 2019 will see fashion designers and fashionistas alike, embrace the fluidity in silhouettes, particularly skirts. Comfortably chic, will be the go-to look. The wedding season isn’t over yet and if you’re wondering how you can keep it stylish, we suggest this Lemon And Aqua beauty of a skirt, adorned with a crop top. Furthermore, this is a great outfit if you want to wear something that is anything but ordinary. Designers have been rooting tones that haven’t really been experimented with before. 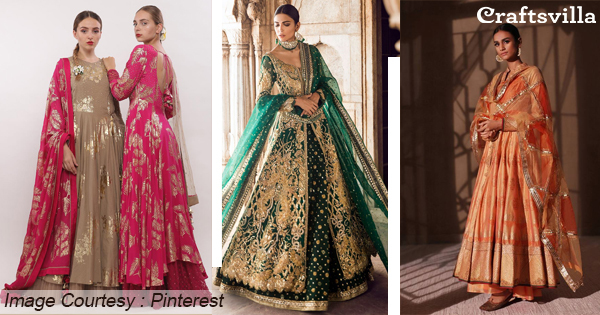 Shiny tones like metallic pink and emeralds will make headlines for bridal couture. If you want to look like a dream, this Metallic pink Kanjeevaram makes for a great pick. Or you could don this unbelievably beautiful Emerald Green Lehenga Choli set. Jacquard makes for a rich fabric that can make one look like royalty. Therefore, it is no surprise that this fabric is taking ethnic fashion by storm. If you like to make a statement yet stay true to tradition don this Yellow And Green Jacquard Embroidered Suit. Can’t really sign off a 2019 fashion trend forecast article without giving a special shoutout to the colour of the year – Living Coral. Described as an ‘animating and life-affirming coral hue’ we can’t help but express how well this colour will fit the ethnic scene. Therefore, if you love vibrant tones then this Resham Embroidered Saree is a must-have.